Ryan Lutz has been named Principal at Cory Watson Attorneys . 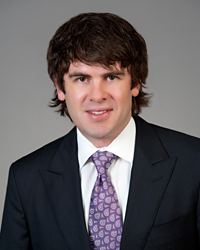 Lutz is co-chair of the Cory Watson Class Action litigation team. Cory Watson Attorneys has named Hirlye R. “ Ryan” Lutz III a Principal of the firm. Mr. Lutz is co-chairman of the firm’s Class Action litigation team focusing his practice on consumer protection and privacy litigation, as well as product liability litigation involving defective consumer products, defective pharmaceutical drugs, defective medical devices, and personal injury. Mr. Lutz joined Cory Watson Attorneys in 2006. He has been recognized by Super Lawyers as a Rising Star and has been named to Top Birmingham Attorneys. Mr. Lutz is a graduate of Auburn University and received his law degree at Cumberland School of Law. Cory Watson, P.C. is a Birmingham, Alabama personal injury law firm recognized nationally for its practice areas of complex litigation including class actions and mass tort litigation involving pharmaceutical drugs and defective medical devices. The firm has an extensive practice in environmental law and individual personal injury cases including those involving asbestos and mesothelioma, automobile accidents, Legionnaires' disease, products liability, sexual abuse, catastrophic injury and wrongful death. Additional information is available at http://www.corywatson.com.